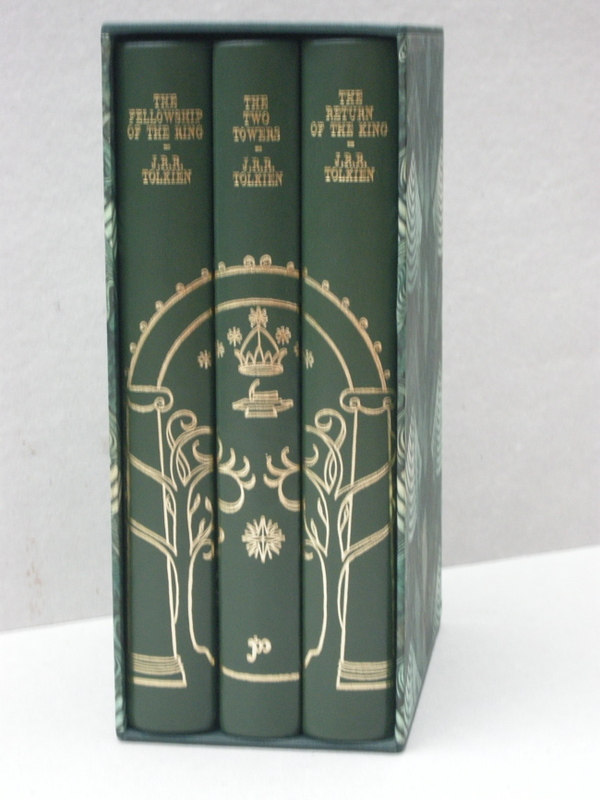 #CLP0062 - The Lord of the Rings 2nd impression green Gates of Moria rebound set in matching slipcase - € 525,- The Lord of the Rings 2nd edition - The Fellowship of the Ring, 7th impression published 1974. The Two Towers, 7th impression published 1974. The Return of the King, 7th impression published 1974. The Lord of the Rings 2nd edition - The Fellowship of the Ring, 7th impression published 1974. The Two Towers, 7th impression published 1974. The Return of the King, 7th impression published 1974. The Lord of the Rings 2nd edition. The Fellowship of the Ring, 7th impression published 1974. The Two Towers, 7th impression published 1974. The Return of the King, 7th impression published 1974. 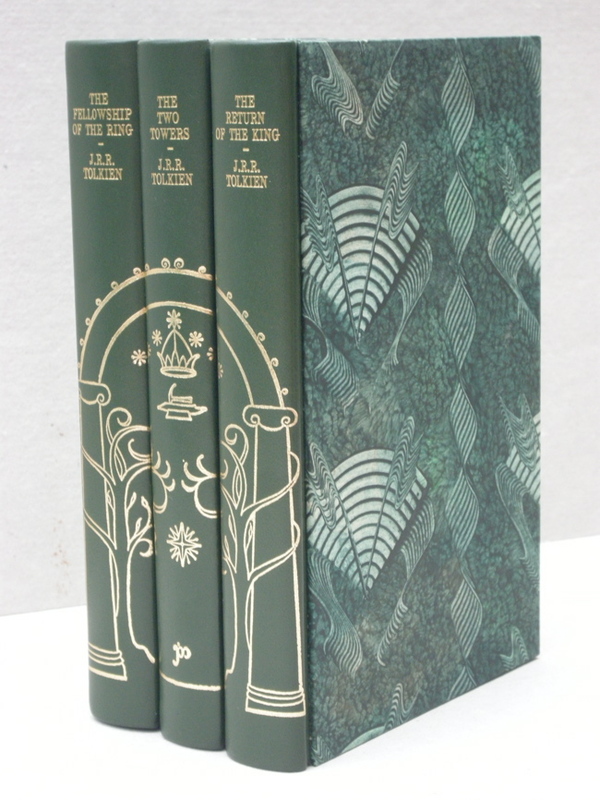 All three books have been recently rebound with a green leather spine and green marbled covers. The binding is distinguished by a Gates of Moria design, the Title and the Author gilt stamped on the spines. All original maps are present and in fine condition. 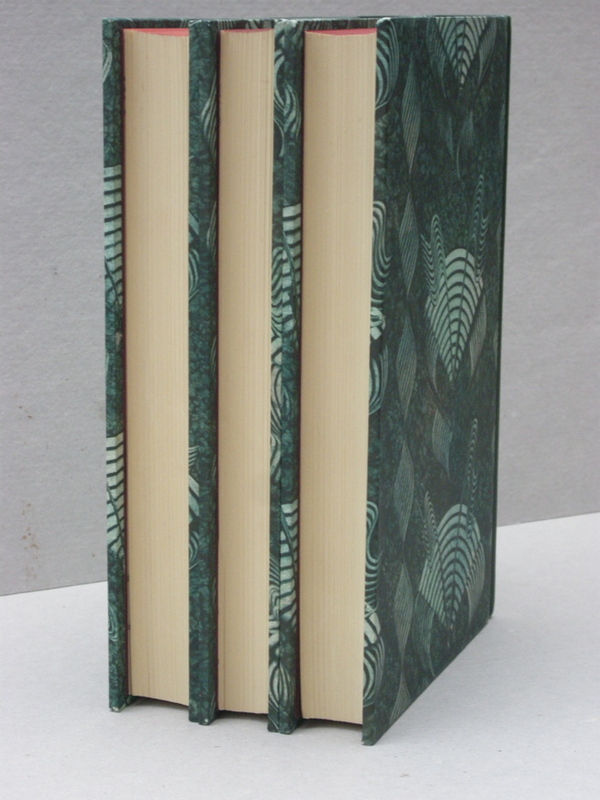 Housed in a matching slipcase using the same green marbled paper as used for the covers. 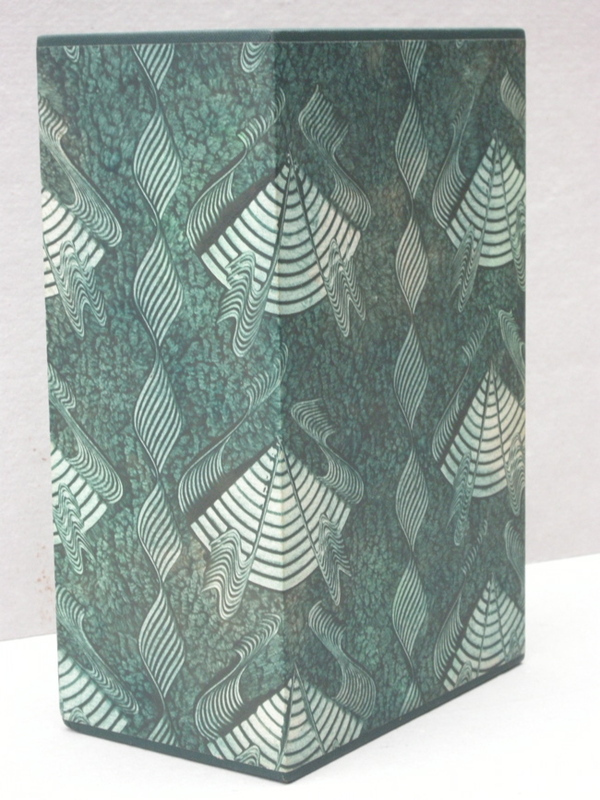 Top and bottom of the slipcase is covered with green cloth, matching the color of the green leather spines. No foxing, no names or inscriptions, clean text block, mint, unread condition. A handsome rebound set of the famous trilogy. A nice item for the Tolkien collector.